There’s nothing quite like that bittersweet transition between summer and autumn. While we’re sorry to see the lazy days of summer fall behind us, there’s a uniquely nostalgic feeling that comes with the onset of fall and the incredible autumnal celebrations that come with the changing of the season. The hometown of the famous witch-trial legacy hosts the Festival of the Dead. 500,000 visitors descend on Salem each October for the event that also includes The Annual Psychic Fair and Witchcraft Expo. Festivities culminate in the heralded Salem Witches’ Halloween Ball at Hawthorne Hotel. Hundreds of ghost seekers gather to “summon the spirits” of Halloween. The macabre activities make Salem’s Festival of the Dead a one-of-a-kind experience. If apples are your thing, the Nebraska City AppleJack Festival celebrates the city’s apple harvest. Visit local orchards to pick your own apples, enjoy an abundance of apple treats, and hit up the AppleJam Carnival. Don’t forget the pie-baking contest! This is the famed ground of Washington Irving’s timeless legend of the Headless Horseman. 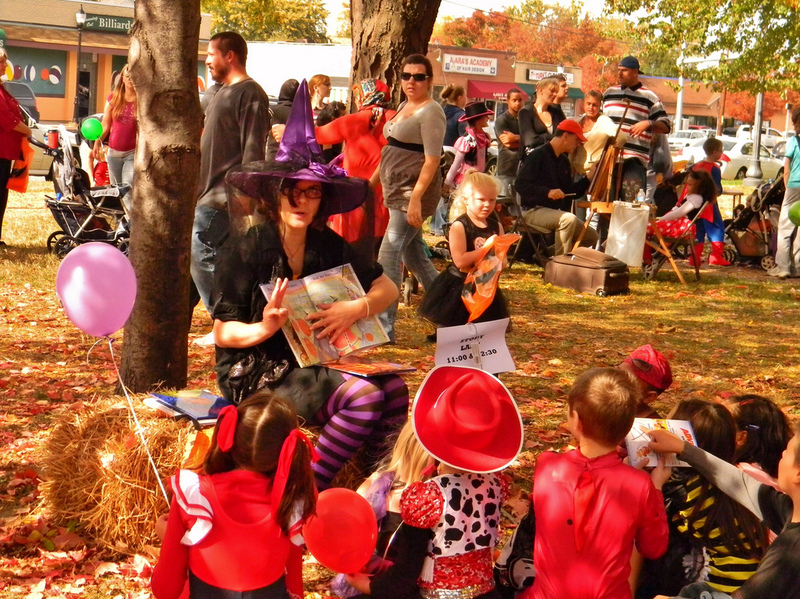 The Sleepy Hollow Halloween festival is a month-long event. 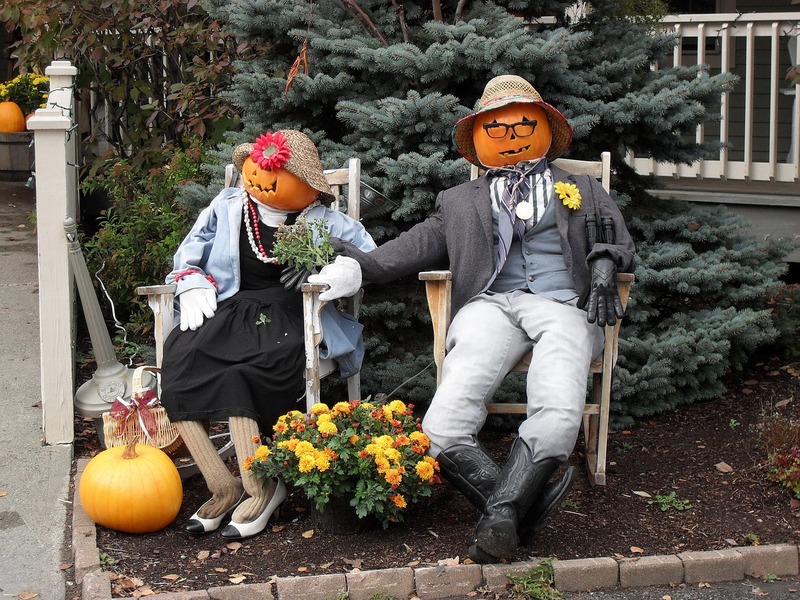 The New York town is taken over by haunted hayrides, street fairs, parades, and live music. You can take a guided lantern tour through the dark, haunted Sleepy Hollow Cemetery. It’s also Washington Irving’s final resting place and there’s even a crypt for vampire Barnabas Collins. If spooky is your thing, you’ll love this festival! This event is also known as “Foodie Heaven,” and for good reason. The Sun Valley Harvest Festival is all about the best of Sun Valley food and wine featuring celebrity chefs, regional farmers, tastings, and food related activities. There is also a Restaurant Walk to showcase local restaurants, regional fare, and of course wine. Did you know that the event deemed the “World’s Largest Halloween Party” takes place at Kentucky’s Louisville Zoo? The zoo is transformed for the annual Halloween party and unlike some other Halloween events, this one is family friendly and more charming than frightening. Kids can trick-or-treat alongside the zoo animals, there are famous film characters present for photographs, and the Headless Horseman makes an annual appearance every year. Fall isn’t just about apple and pumpkins, it’s about cranberries too! Cape Cod and southeastern Massachusetts cranberry growers gather each year for the Cranberry Harvest Celebration in Wareham. In addition to the festivities, visitors can buy fresh cranberries and freeze them to use while making their Thanksgiving feast. If a street party is more your style, head to Santa Monica Boulevard for the West Hollywood Carnaval, the world’s largest Halloween street party. 500,000 people fill the streets in creative costumes and the popular “Queen of the Carnaval” includes the annual reigning of a celebrity queen. There are six stages with 50+ music acts not to mention the events at each of the trendy bars and clubs that line the street. When running your own fall festival or Halloween event, you’ll need tickets for a variety of uses. From Halloween themed tickets for entry to a local Haunted House, raffle or roll tickets, wristbands for age verification and DIY Halloween posters, Worldwide Ticketcraft offers the full gamut of event products to meet your festival needs. No matter what type or size of event you’re planning, from small budget DIY plans to large-scale festivals, you’ll find the items you’ll need to ensure that your event goes smoothly. Fall is a wonderful time to come together with friends and family and enjoy the harvest and the changing of the season. Whether it’s spooky Halloween, the changing of the colors, or the tasty fall foods, enjoy your autumn and make the most of your local fall events. With summer fading and October fast approaching, it’s time to start thinking about how you can give the kids a safe Halloween experience that still lets them do all the things they love about the holiday — putting up decorations, playing games with their friends, wearing the coolest new costumes, and of course…the candy! 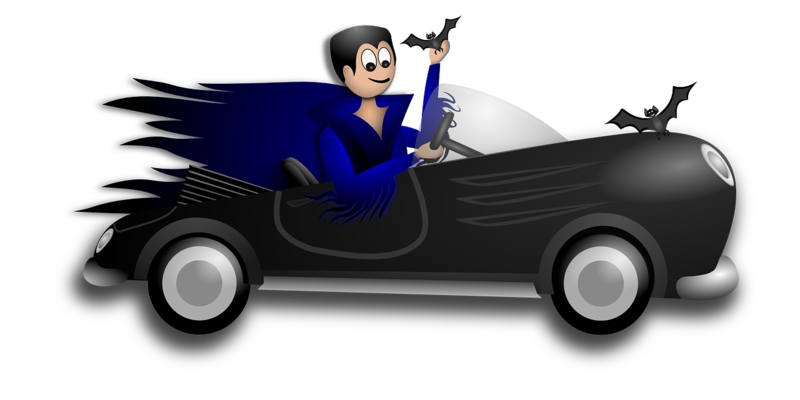 This year, organize a trunk or treat! Seek out like-minded parents who are willing to donate their cars for an evening of fun. You should get the word out in advance so everyone will have plenty of time to prepare. Have the kids help decorate the car trunks and truck beds with their favorite spooky decorations such as bats, ghosts, cobwebs, or skeletons! Have someone there at every car to hand out candy and treats to the kids – parents, this is your chance to get in on the fun, so get working on those costume ideas! With a good group of committed volunteers, there’s no limit to what you can do with your trunk or treat — haunted houses, organized games with prizes, or even live music! Best of all, you can use this experience to raise money for your child’s school. Sell tickets at the “gate,” for food, drinks, and carnival games, with all profits going to the school. You can create memorable, customized tickets for your Halloween event that they’ll ship right to your door. Find local retailers who are willing to donate to a good cause and set up a raffle. The only thing kids love more than costumes and candy is winning awesome prizes (while dressed in costume and full of candy)! We have got you covered there too — you can pick up a roll of quality raffle tickets at a price that’s less than a penny per ticket! 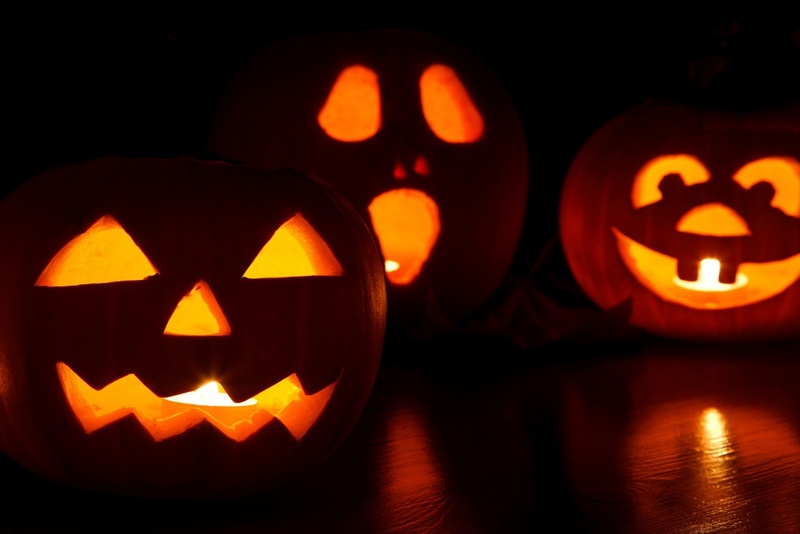 For a safe alternative to trick-or-treating this year, try a trunk or treat! Your kids won’t get exhausted as they do when roaming the neighborhood, it’s easier to keep an eye on them, and you don’t have to worry about cars passing through. Just as importantly, it can bring your families together while raising money for your child’s favorite club, team, or school library. Use your imagination and the possibilities are endless!